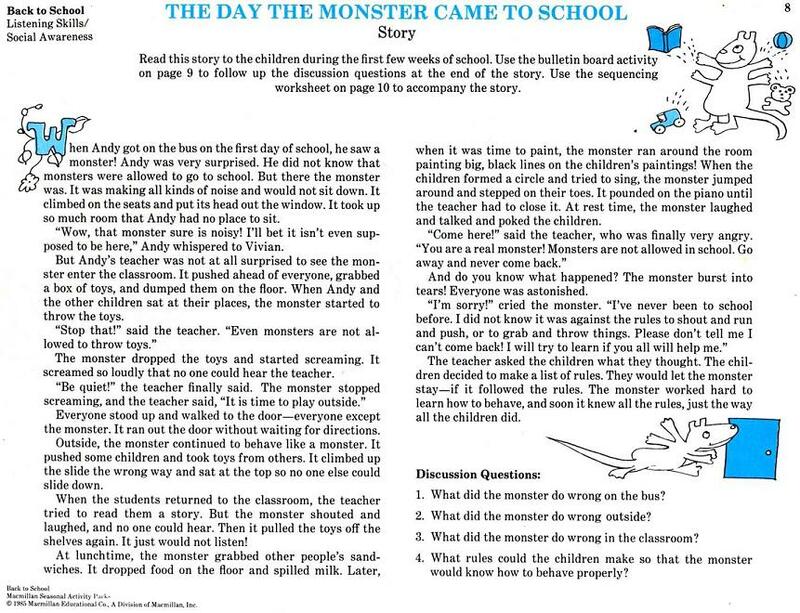 Some of you may remember I read the story, "The Day the Monster Came to School," to my children. 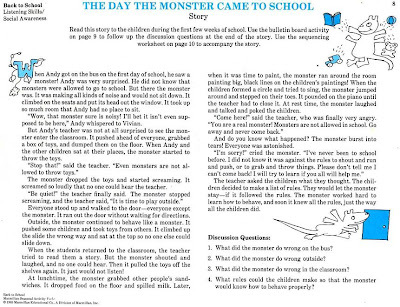 The story is from a McMillan Activity pack which I purchased about 100 years ago. 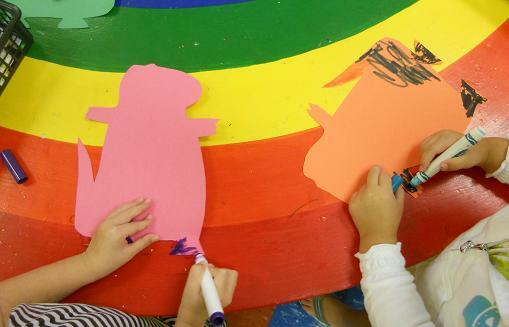 But, it's a great story and the children do well with it. 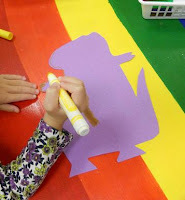 Even though I do it with the three-year-old class, I thought I would also do it with my Pre-K class, even if they have heard it before. 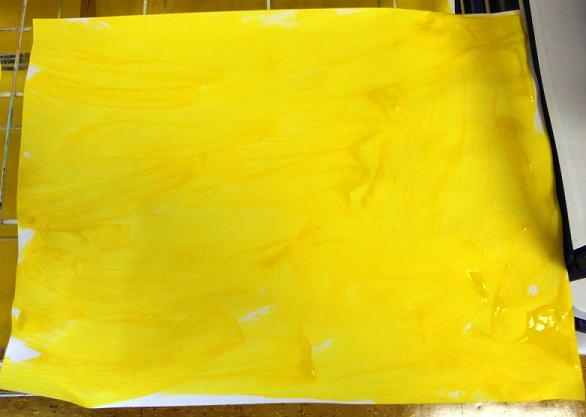 I thought it can't hurt to practice the rules again. Each class I did a little different. 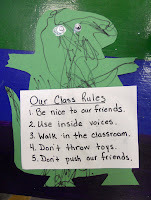 For my three-year-old class we read the story, came up with some great rules for school, then glued the rules inside a monster shape that they decorated. 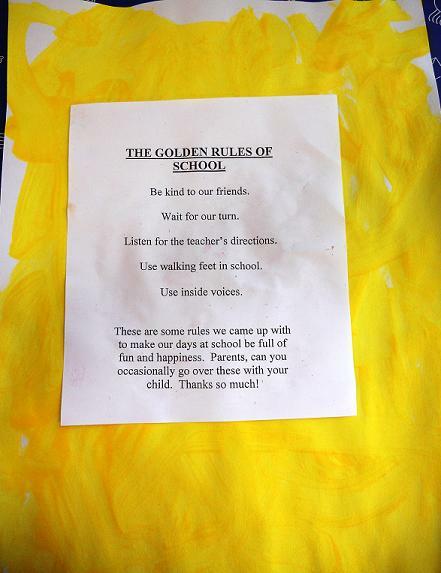 I then ran off a quick note to the parents and asked them to help us learn our school rules. 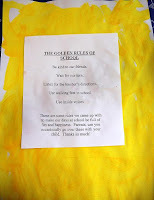 For the Pre-K class we worked on "the golden rules of school." 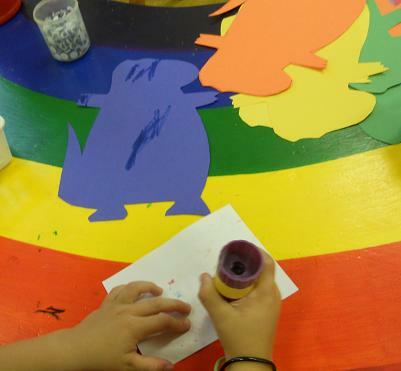 I read the children the story, they came up with some wonderful rules for the class, then I had them paint a piece of paper yellow--they kept asking me to paint anyway. 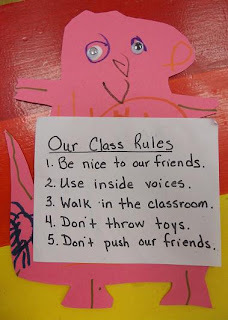 Finally we added the rules in the center--liked they were being framed. I again asked the parents to help us learn these rules. I was so excited today when I went to school and asked the 3's if they remembered what we did on Tuesday. 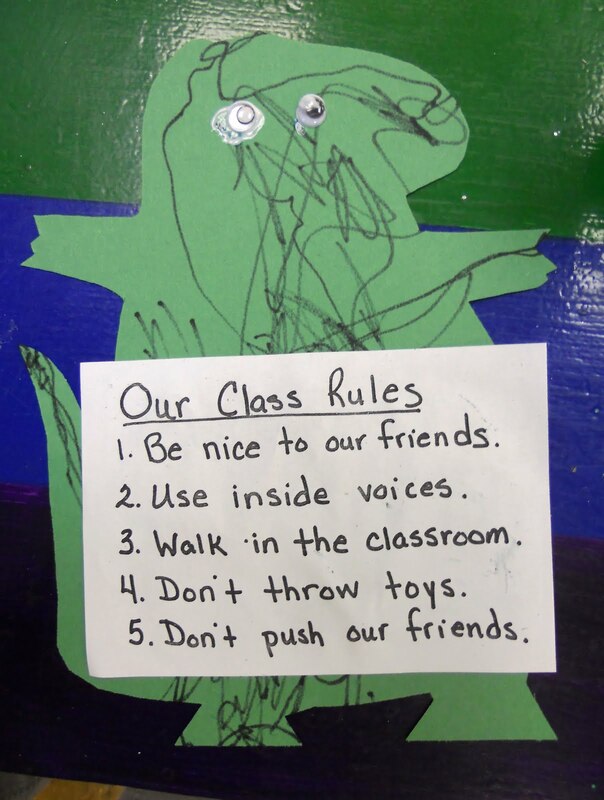 They told me we made up monster rules, and told me the rules. Thanks so much parents!